Extreame Savings Item! Save 49% on the NAGOYA Dual Band VHF/UHF(144/430MHz) Telescopic Antenna Extendable SMA Male Walkie Talkie Antenna 36‘’ for WouXun KG-UV6D KG-UV8D TYT by NAGOYA at Kerinci. MPN: NA-RH770-Male. Hurry! Limited time offer. Offer valid only while supplies last. NAGOYA RH770 10 sections dual band UHF/VHF SMA Male extendable Two way radio antenna. High quality, high gain, low SWR, boost up ham handheld radio. NAGOYA RH770 10 sections dual band UHF/VHF SMA Male extendable Two way radio antenna. High quality, high gain, low SWR, boost up ham handheld radio. VX-1R, VX-2R, VX-3R, VX-3E, VX-5R,VX-177, VX-170, VX-7R,VX-6R, FT-60R, VX-210, VX-210A, VX-300, VX-400, VX-410, VX-414, VX-417VX-420, VX-424, VX-427, VX-10, VX-14, VX-17, VX-110, VX-130, VX-131, VX-132, VX-150, VX-151, VX-152, VX-160, VX-180, VX-500, VX-510, VX-520, VX-800, VX-8DR, VX-8GR, VX-230, FT-277R etc. PX-325, PX-333, PX-2R, PX-V6 PX-A6 PX-359 PX-358 PX-325. TH-2R, TH-F5, TH-F8, TH-UVF9, TH-UV3R, TH-UVF8D, TH-UVF9D, TH-UVF1, DM-UVF10, MD-280, MD-280 PLUS, MD-380, MD-390, TH-446, MD-680, TH-UV8000D, TC-3000A, TC-3000B, TC-3000S, TH-UVF11, etc. IC-F50V, IC-F50, IC-M88 IC-F51ATEX, IC-t90A. NAGOYA Dual Band 2M/70CM Handheld Two Way Radio Telescopic Antenna. Made of high quality stainless steel, help you get longer communication range. 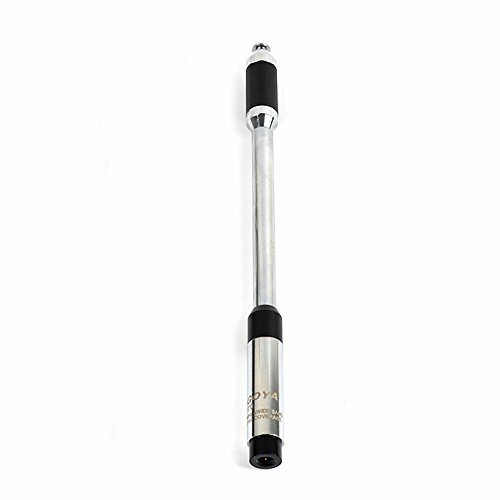 Telescopic Antenna features a 3.0/5.5dBi, signal with up to 10W of power will allow you to get longer range on your handheld radio perfect fit for most radios devices. V.S.W.R less1.5. If you have any questions about this product by NAGOYA, contact us by completing and submitting the form below. If you are looking for a specif part number, please include it with your message.